Bee House Saturn Teapot, 11 oz. Home | Ceramic Teapots & Tea Cup Sets | Bee House Brand Ceramic Products | Bee House Saturn Teapot, 11 oz. 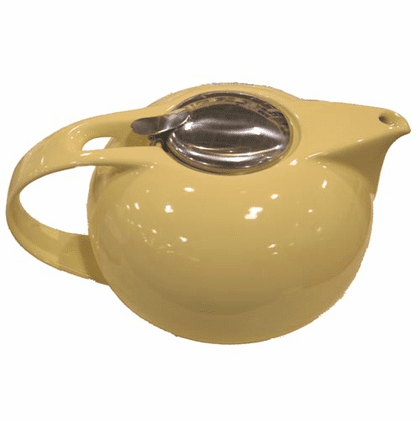 This collectible teapot is easy to use and fun to own. This brighten any kitchen with a bit of whimsical color and look great left out to collect compliments. This features detachable stainless steel lid and a removable strainer which nests in the rim. Dishwasher safe; remove lid and strainer basket before washing. Only pink color in stock now. Banana milk color teapot pictured.